Humanity Healing International would like to offer its respect to the following organizations for their individual efforts to raise Humanity as well as share its Gratitude for their connection with HHI projects and goals. When humanitarian organizations work together as a community, we can much more effectively help the communities we serve. We are proud to have connected with these organizations. Hope Development Organization is a Pakistani NGO, struggling for Human Rights in Pakistan. It was founded in 1997 by a Feminist group and equal human rights believers as a result of the of horrible crimes against women. Project H Design connects the power of design to the people who need it most and in the places where it can make a real and lasting difference. They are a team of designers and builders engaging locally to improve the quality of life for the socially overlooked. 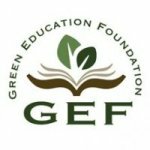 The Green Education Foundation, GEF, is a non-profit that provides environmental education resources for Pre K-12 classrooms and youth groups nationwide. GEF believes that what is healthy for the environment is healthy for kids, and promotes learning opportunities that develop sustainable habits of environmental stewardship in children and their communities. Children for Children mobilizes the energy, ingenuity and compassion of young people, beginning at an early age, to discover their potential to solve real world problems through volunteer opportunities and service learning programs that instill a lifelong commitment to service. 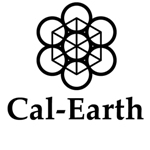 Cal-Earth, The California Institute of Earth Art and Architecture, provides training and expertise for the application of Superadobe technology as an innovative solution to housing for the world’s poor and disaster-stricken. This patented technology is freely put at the service of humanity and the environment.